'Castle' by Jim Miller reminds me of what our Parkour community here in New York City lovingly calls "Scoops" on the lower east side. Maybe Jim was behind that build--no doubt possible, since many of his designs were produced by Wausau Tile and appeared in their catalogues. Below I included a few images that I found on the Playscapes blog and Jims website. 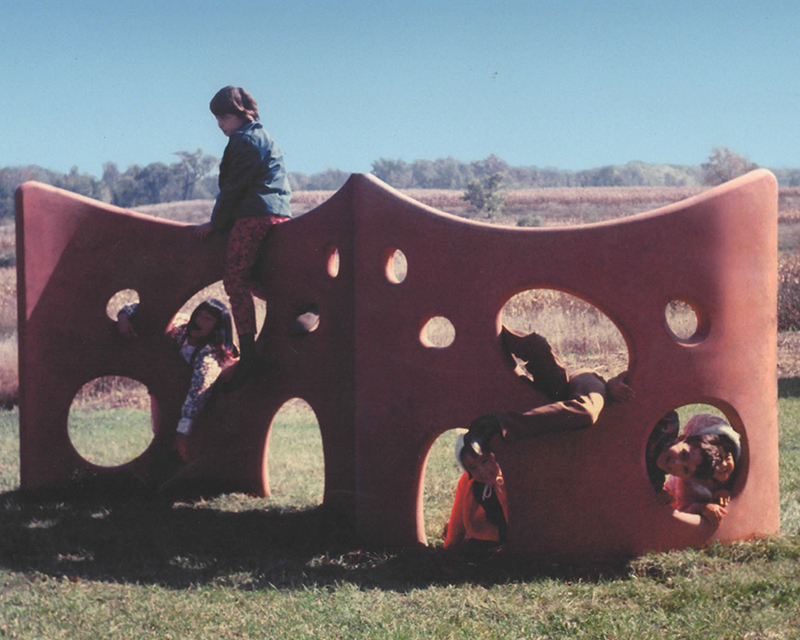 While in many ways these sculptures are directed towards kids, especially in sizing, I have found that the version of these structures at Scoops brings in a wide range of ages, who jump between the tops and use the taller ones as walls. I think the modules could be arranged in a way that definitely appeals to a wider age range if they were to be built again--perhaps even scaled up for older groups?